NCS will celebrate in style our 50th Anniversary on June 10th following AGM in St James’s Church. Members only but new members can join on the door. 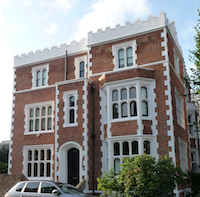 The Norland Conservation Society is here to protect and enhance the character and historic features of the Norland Conservation Area in West London. Every week the Norland Conservation Society reviews planning applications, lobbies on issues that matter to residents and works with developers, local council members and authorities. The Norland Neighbourhood Plan is now available as a guide to policies (to be adopted by RBKC) for the Norland Conservation Area. Please take a good look at it.